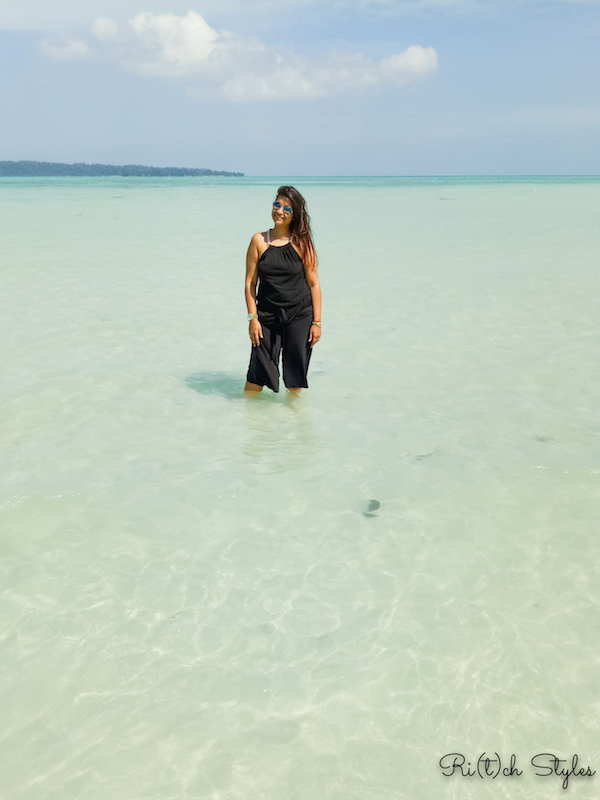 However my meeting with Dr. Zubeda Tumbi was an eye opener on a lot of fronts and my learnings are what I am going to share with you in today's post. We discussed a lot of things but the biggest point was that the first 2 years of our child’s life are more important than we know! Our child grows the most in the first 1000 days, than he/her would in the rest of their life. In Year 1 itself, your baby’s weight triples and height increases by 50%. But what is most important to be known is that, a staggering 80% of their brain and cognitive development is complete by their second birthday, with their brain size tripling from birth to two years. Babies are so delicate when they are born and their immune systems are immature, and it takes at least 2 years to strengthen it. The food that they eat, plays a crucial role and it shapes how your baby grows and develops in the first 2 years. 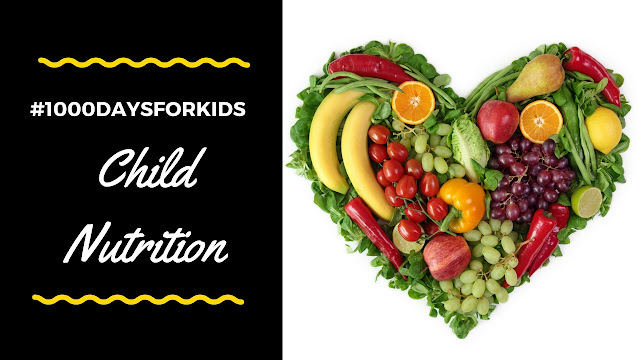 Changes happen on the outside that one can see but there are changes that happen even on the inside - organs especially the brain and so your child needs a lot of nutrition, and the care that you need to take then is more than any other time in their life. The right kinds of food help in optimization of growth potential so that when it comes to physical growth, learning capacity and also ensuring that your baby isn’t susceptible to illness as a child and as an adult, all is take care of. Irreversible damage to brain development and physical growth is what wrong nutrition results in! So the first question is - What are the nutrients that your baby needs? Your baby needs two kinds of nutrients: macro nutrients and micro nutrients. Macro nutrients are responsible for providing energy and aid physical growth and development. For example, proteins, carbohydrates and fats. Essentially this is development we can see with our eyes. What you can’t see developing within the baby are the brain & immunity growth. These are fueled by the micronutrients which are very important during this phase. 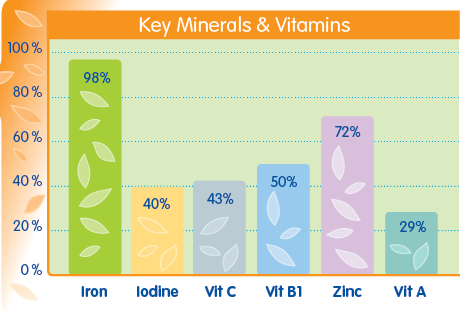 Vitamins and minerals are micronutrients. Iron, zinc, vitamin A for example, aid in brain development and immunity. However, because once can’t see the consequences of micronutrients deficiency immediately, most people tend to miss out on ensuring that their babies get enough micronutrients. Second Question - How does one ensure that your child gets their nutrients? In the first six months, breast milk is sufficient to meet our baby’s needs, though you can support with other foods from about 4 months old. However, once your baby turns six months, breast milk must be supported by other foods. When starting off on solid foods, your baby can’t take in more than a few spoonfuls of food. This, as you know, is because your baby’s stomach is incredibly small. It is the size of their tiny fist, which is only 20% of the size of an adult’s stomach. But did you know, that even though they have such a tiny tummy, they actually need more nutrition than adults to support their incredible growth rate. Babies need 5 times more nutrition than adults at this stage! While breast milk continues to provide partial nutrition to your baby, the other foods bear the responsibility of bridging the gap that breast milk can’t fill. Now Third Important Question - How do the complementary solid foods help in meeting your baby's requirements? As Indians, we tend to eat more grains and vegetables, with little intake of pulses and green leafy vegetables. While this kind of a diet will be high in macronutrients, the micronutrients like iron, zinc and calcium are very low. Here is where the complementary foods play a huge role. 98% of our baby’s iron and 72% of our baby’s zinc needs should be fulfilled through complementary food but our regular Indian diets are insufficient to do so. This gap starts when we move from exclusive breast milk to complementary feeds. Keeping in mind our baby's stomach size, it is quite impossible to meet their needs with constant regular food supply. For example, to meet the daily requirement of Iron for a 6-12 month old child, the mother would have to feed 9 bowls of spinach puree! Finally the Fourth and Most Important Question - How do you provide these nutrients in the complementary solid food form? So what we need to do is give your baby small quantities of food that are packed with more nutrients than your regular food. We need to start including nutrient dense foods or complete foods that are fortified with minerals, vitamins like iron, zinc etc. so that our baby can get all they need through the amount that they can eat. Fortified cereals and foods have been found to be the most effective way of ensuring that there are no micronutrient deficiencies in children. Also ensure diversity of food groups in your baby’s diet by including foods from all food groups on a daily basis for a balanced diet. Supplements of various vitamins and minerals can be given after consulting your pediatrician. However, fortified foods are safer and closer to regular food and more effective. 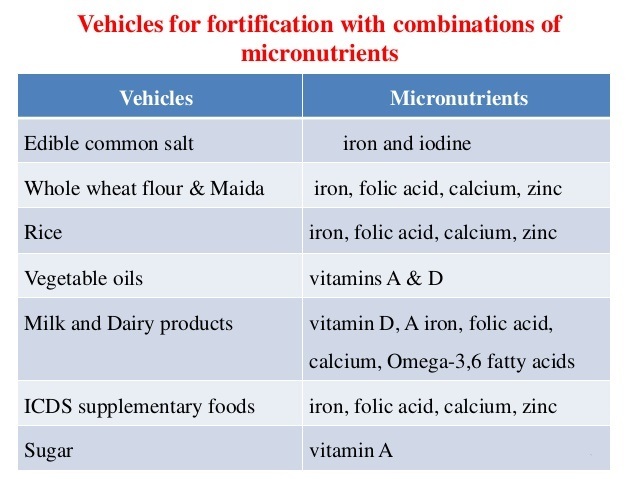 Use fortified food like Atta, Salt etc. readily available in the market to ensure your baby gets the right nutrition for his/her proper development. In fact, 2 bowls of fortified cereals a day bridge the nutrition gap in your baby’s diet. In this way, by ensuring that you couple fortified foods with your baby’s regular diet of homemade foods, you can rest assured that your baby’s nutrition needs are fully met. Always include Vitamin C with food to convert Iron from Ferric to Ferrous. Great sources of Vitamin C are lime, tomato, orange, amla, pineapple, mango, kiwi and papaya. If you are a non vegetarian then introduce fish and chicken from the time they turn 10 months old. So as I said and as you read, the first 1000 days are very crucial for your child's growth and development, so make sure you are on the right path to make it right for them! If you feel there is anything more you would like to know on this topic, please feel free to write in to me or drop a comment below, as I could share a lot more of what I discussed with Dr. Zubeda Tumbi or check in with her for you. After all a happy child makes a happy parent, and we would do anything to make that happen!